World’s largest multinational cosmetics company L’Oreal has acquired Kenya’s Interconsumer Products Ltd, makers of Nice & Lovely brands, in a multi-billion dollar transaction last Friday. London-listed L’Oreal bought the Kenyan firm with an eye on East Africa’s low-end cosmetic market. It has over the last decade target alternative beauty markets by acquiring local brands in new markets to gain distribution networks and brands. In 2000, the French multinational purchased SoftSheen Carson, which developed products targeted at Africans. The company posted a Sh324.8 billion ($3.84 billion) profit boosted by earnings from emerging markets in 2012. L’Oreal which first opened shop in Nairobi in late 2011 has for the past 18 months been in talks with the owner of Interconsumer Products, Paul Kinuthia, for a buyout deal. “We closed the deal on Friday at 11am and all I can say for now is that the transaction is worth billions of shillings,” Kenya’s Business Daily quoted one of the transaction advisers who declined to be named since L’ Oreal had not cleared with regulators in France and London. 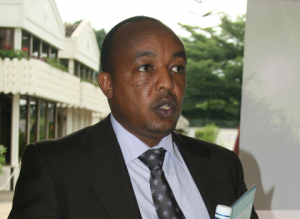 The deal, which was announced in the latest edition of the Kenya Gazette by Competition Authority Director-General Wang’ombe Kariuki, will have Kinuthia continue as owner of the diapers and sanitary division while L’Oreal will acquire the health and beauty business. Kinuthia had revealed early this year that L’Oreal and South Africa’s Tiger brands were keen on the deal. Tiger brands wanted to buy Interconsumer Products to cut revenues generated from its home market to 30 percent. Kinuthia built Interconsumer Products from scratch in the backstreet of Nairobi in 1995 to a major player in the beauty market which today rivals industry giants like Unilever Kenya Ltd, Beiersdorf East Africa Ltd, Haco Tiger Brands and PZ Cussons East Africa Ltd. In 2009, the company crossed the Sh1 billion ($12 million) sales mark. According to a data released by research firm Consumer Insight Africa (CIA) earlier this year, Interconsumer’s flagship brand, Nice & Lovely, is a market leader in the hair care business controlling about 18 percent of the industry. The company has presence in Uganda, Tanzania and Rwanda following an expansion drive rolled out in 2002, and has diversified product range that include soaps, shoe polish, hair items, perfumes and baby products. Kenya’s cosmetic industry has been an investment hub as new entrants like New York Listed Estee Lauder, Swedish Oriflame and American skin care giant Revlon have come into the market scene in the last three years. “Given the highly lucrative nature of this category, we can be sure that the competition for market-share will not be pretty,” CIA had said in its report.